The conditional operator is used as a shortcut for standard if statement. It takes three operands. condition : An expression that evaluates to true or false. expr1, expr2 : Expressions with values of any types. If the condition is true, the operator returns the value of expr1; otherwise, it returns the value of expr2. status = (marks >= 30) ? "Pass" : "Fail"
The statement assigns value "Pass" to the variable status if marks are 30 or more. Otherwise, it assigns the value of "Fail" to status. 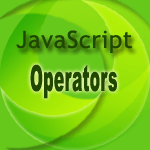 In the following web document the conditional operator statement [status = (marks >= 30) ? "Pass" : "Fail"] assigns value "Pass" to the variable status if marks are 30 or more. Otherwise, it assigns the value of "Fail" to status. status = (marks >= 30) ? "Pass" : "Fail" is equivalent to the following statement.